Comrades! Join the Sussex Drinker revolution. Follow us into Surrey, London, Kent and Hampshire as the cover of our autumn issue implores. In fact, follow us from anywhere in the globe if you are registered for a Facebook account. 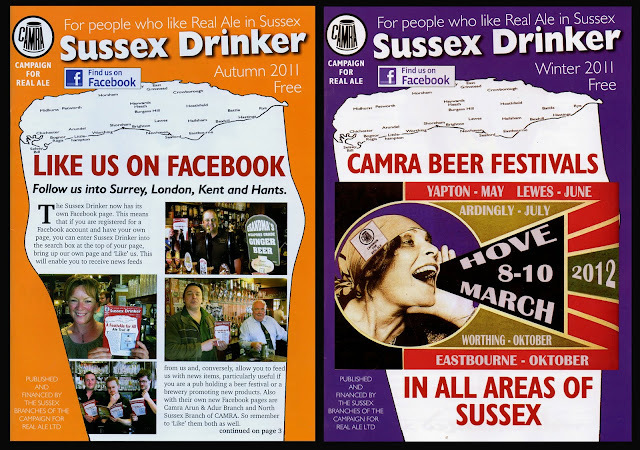 Just enter Sussex Drinker into the search box at the top of your Facebook page, bring up the magazine’s page and ‘Like’ us. This will enable you to receive news feeds from us and, conversely, allow you to feed us with news items – particularly useful if you are a pub holding a beer festival, a brewery promoting new products, or a customer wanting to update us with positive new developments on the Sussex real ale and pub scene. “Sussex inns are as numberless and glorious as stars in the galaxy”, wrote Denzil Batchelor, journalist, bon vivant and author of The English Inn (London: Batsford, 1963). Why not come and visit Sussex and explore the glorious inns and pubs of our real ale scene for yourself? Or heed the clarion call on the cover of our winter issue. 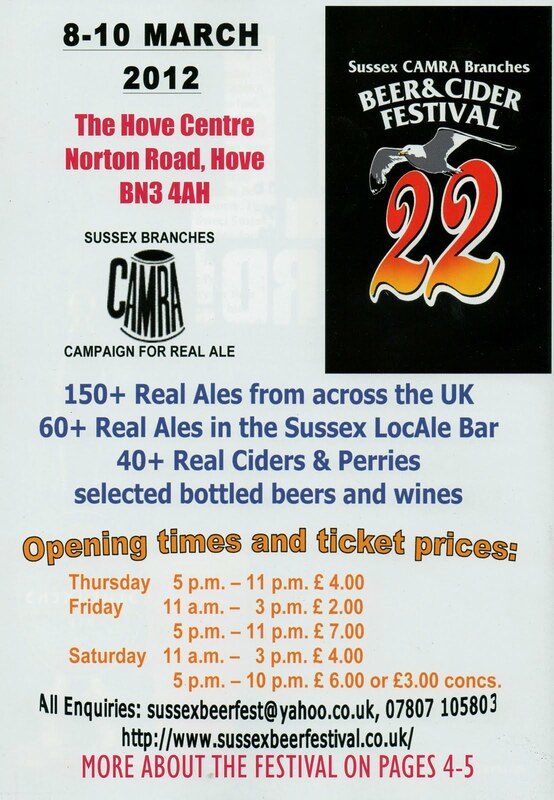 With an inspirational nod to the Russian artist Alexander Rodchenko you are urged to attend any or all of our six CAMRA Beer Festivals in All Areas of Sussex. 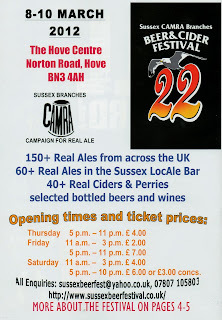 The next one is the big one, the Sussex CAMRA Branches Beer & Cider Festival at Hove, from 8-10 March 2012. For details of opening times and ticket prices see the advert (left). Over the past two years the Sussex Drinker has become bigger (up from 32-40 pages), better (one of the outstanding CAMRA magazines in the UK) and more popular than ever before (an increased print run from 5000-12000 copies). As for regular features in the Sussex Drinker, the ‘Sussex Pub Scratchings’ news pages has contributions from our readers; the latest ‘Bus to the Pub’ around Sussex programme is organised by Arun & Adur branch member, Stuart Elms. 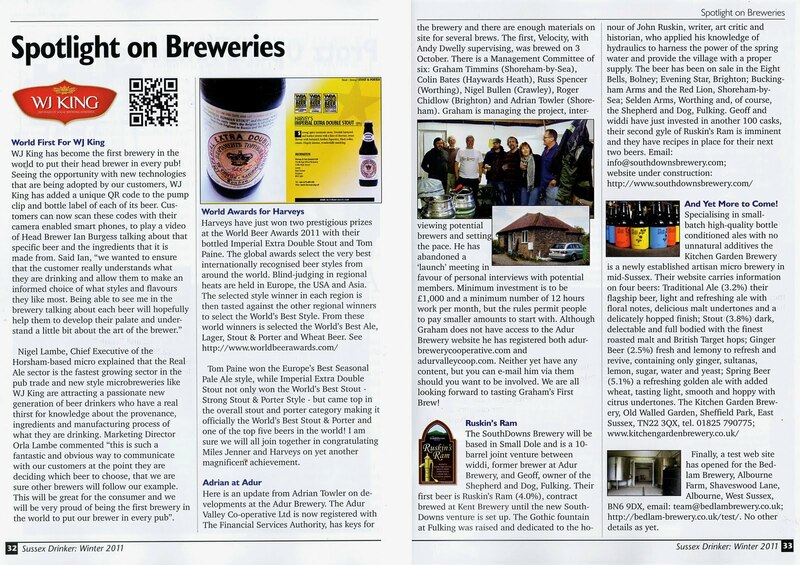 ‘Beer Festivals and Other Delights’ are our diary dates (for which inclusion is free). 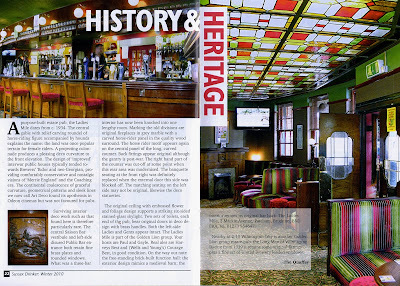 ‘History and Heritage’ is a celebration by yours truly of a CAMRA National or Regional Inventory pub in Sussex or some other aspect of local pub and brewery history. 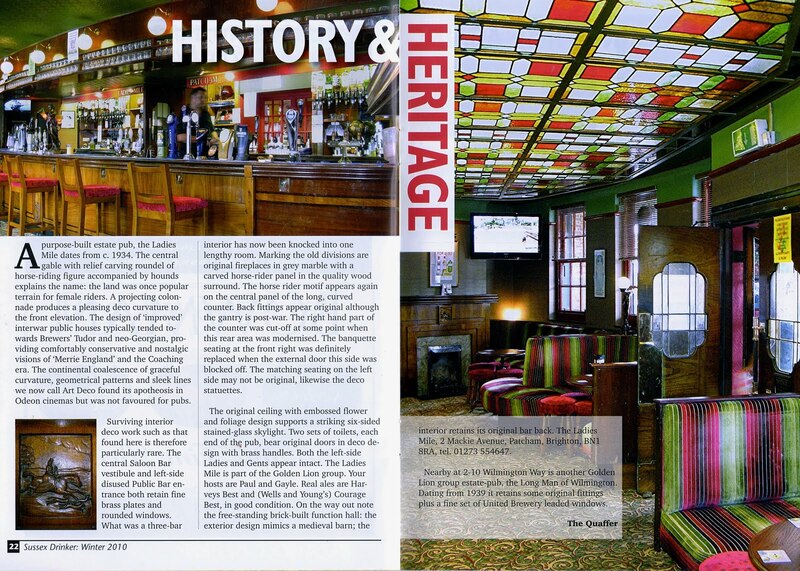 Web sites on the history of pubs in Worthing and in Hastings and St. Leonards have featured in recent issues. ‘Cider House Notes’ is by our Regional Cider Coordinator, Jackie Johnson; ‘Star Behind the Bar’ is an informal introduction to one of our pub licensees; and there are ‘LocAle updates’ on our pubs that stock locally-sourced real ales from breweries within a designated radius. 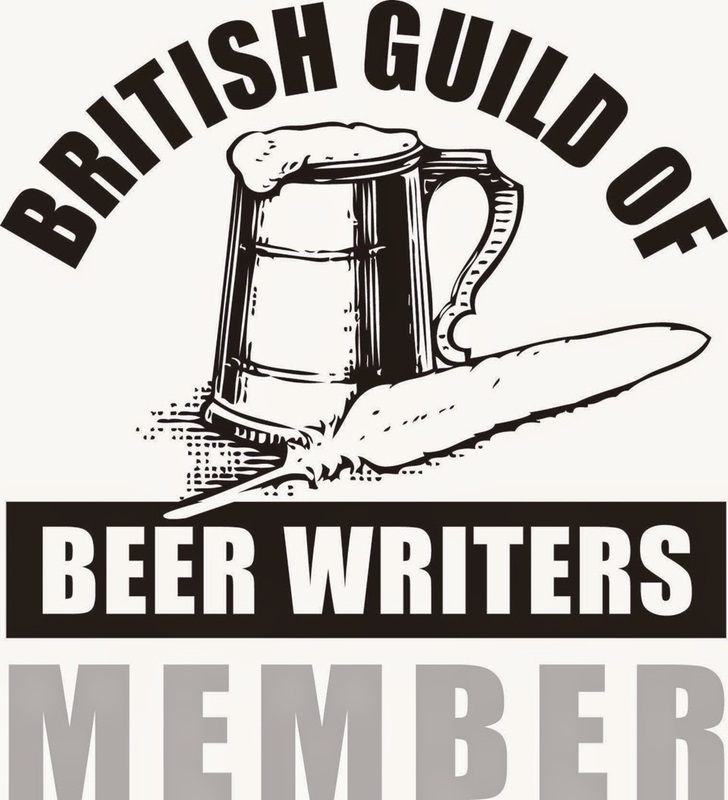 ‘Bru News’ consists of up-to-date reports by CAMRA Brewery Liaison Officers on all of the breweries in our county, while ‘Spotlight on Breweries', as seen below, is for more specific, in-depth news items.